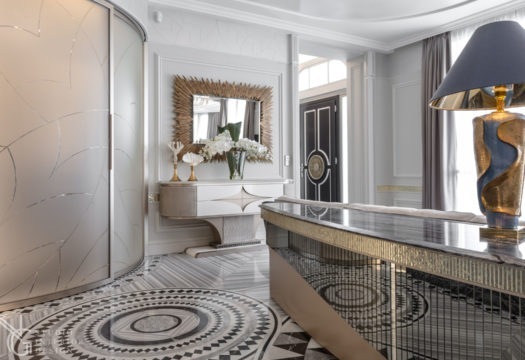 Villa La Rotonde is a specimen of Art Deco architecture of unique charm, in Monte Carlo, that has now returned to its original splendor thanks to a renovation project by NG – Studio Interior Design, in collaboration with Margraf. 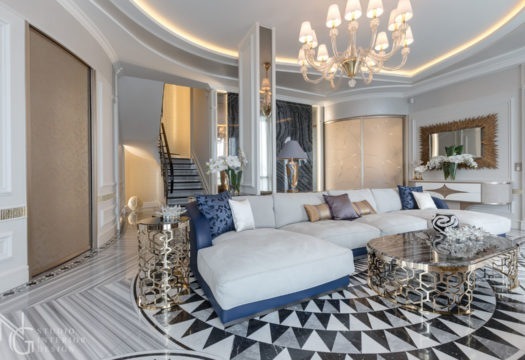 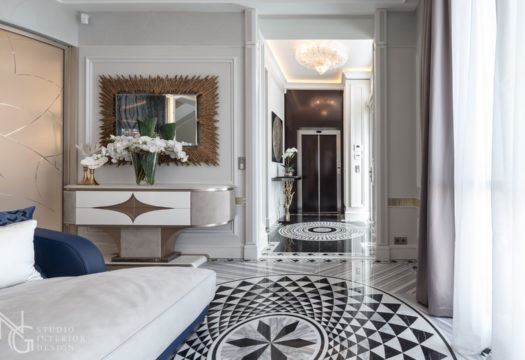 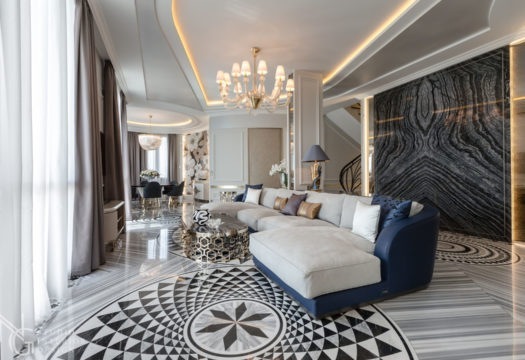 The complex configuration of the space on the ground floor required a reinterpretation of the interiors, enriched by ornaments in Cosmatesque style and enhanced by marble from the Vicenza-based firm, in a modern black and white version. 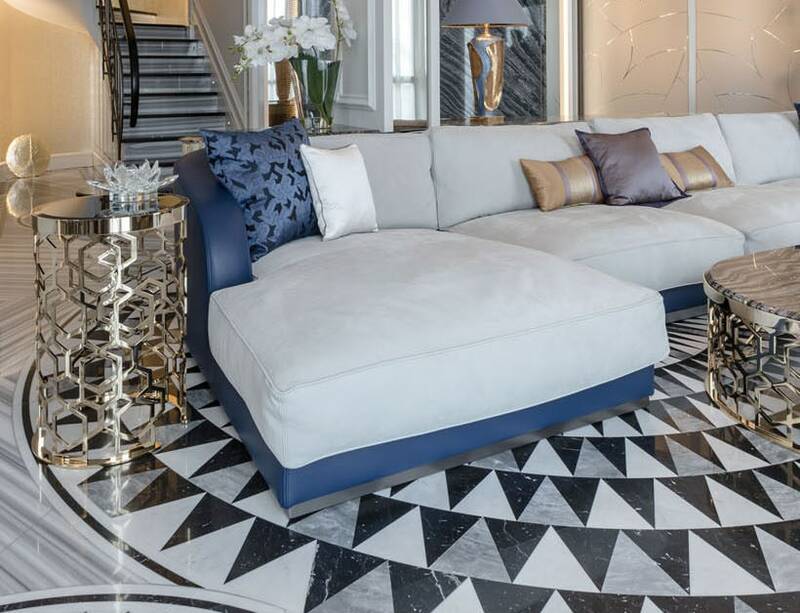 The flooring in Striato Olimpico, cut to follow a particular direction of the veins, is adorned with decorative rosoni in Bianco Carrara, Bardiglio and Striato Olimpico. 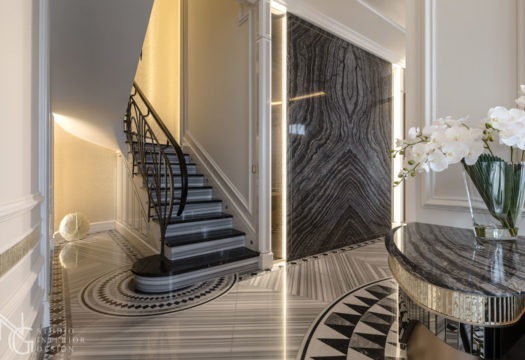 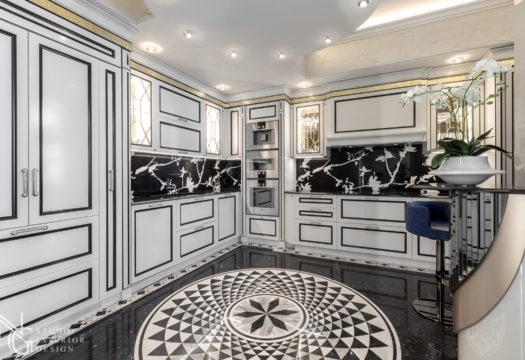 At the entrance, in the kitchen and the internal stairwell the choice has gone to Nero Marquinia, a marble with a black color and white veins, equipped with a finely inlaid decorative border, designed and cut to follow the curves of the walls.